When the pain hit at 3:00 a.m. I thought I was dreaming about the time this girl kicked me in the groin in 5th grade. It was during recess and… o.k. that’s another post. I was not dreaming. I was in pain. I thought this pain felt familiar but I was not sure until went through a check-list of other things : hernia (no), pulled muscle (no) appendicitis (maybe, but no) it was a kidney stone. Let me just say that, a kidney stone will test your manhood and faith. I lasted four hours before I staggered into the ER at St. Vincents hospital. I was immediately escorted to a wheelchair and all I wanted was for the pain to stop. A single request. I wanted anything that would stop the pain, drugs, a hammer, whatever. I left the E.R. with my manhood shattered and broken., but I left with my faith in tact and a new appreciation for prayer, not just any prayer, but persistent prayer. I am a professional prayer-er. I pray with kids at the altar, I pray at weddings, baptisms, and church pot lucks. I pray all the time but they are high and lofty prayers. I pray, the moment is over , and I move on. That is not persistent prayer because none of those events involved pain in my nether regions, throwing up, or the desire to die. I did not scream out, OH God! OH God! Oh God! PLEASE BLESS THIS FOOD!! PLEASE!” I don’t think the blessing of the meal requires this kind of persistent prayer unless you’re a middle school student in the cafeteria, but there are times when we need to cry out to God and be persistent in our prayers if we are to see anything happen. Consider the parable Jesus told about the widow and the judge. I understand that I cannot badger God against His will. God answers all prayers with yes, no, or wait and I am willing to accept any answer He gives, but I cannot stop praying until I sense where God is leading. I also think God looks at the passion level of my prayer. The judge gave in because the woman was relentless and, I think, the judge found a way, a loophole within the measure of the law to grant her request. Jesus called the judge unjust. We don’t know why he was unjust but it’s possible he did the widow wrong on purpose or maybe he owed someone a favor; whatever the reason he was fearful of having any of his “business” further exposed and be embarrassed by this woman. God can give us justice. God is a righteous judge, but my role is to be persistent and wait. Pray and wait. I had no control over my kidney stone. That stone had to pass and I had to wait for it to do it’s thing. If I am not passionate about what I am praying for, I don’ t know if anyone should grant my request, let alone God. Passionate, persistent prayer is what tells us our pain index is a on 1-10 scale. Passion communicated how desperately in need of relief I was to those nurses. I told the nurse I was an 8 and that told them I needed pain meds NOW! Passionate, persistent prayers let us and God know we are in serious need. When the stone passed and my crying stopped. The pain was over and I offered God, the nurses and the makers of drugs a sincere thank you. This episode of my life showed me I need to step up my prayer life from a 1 to an 8. I want relief physically, emotionally, spiritually, and professionally. I need to pray always and not quit until “it” passes and God lays something else on my heart. I get it God. Pray like I have a kidney stone. Lesson learned. What is the pain index of your prayer life on a scale of a 1-10? Is this reflected in your prayer life? Would you describe your prayer life as persistent and passionate? What will it take to get it there? Hopefully not a kidney stone. I’d love your comments, especially if you’ve had a kidney stone. I know how that feels, I have had at least 5 attacks in my lifetime, and have a hereditary kidney disease. I pray consistently when that happens, and get your point, precisely! Ow! That’s five too many for me LOL. Very sorry to hear about your stones. I don’t know how large mine have been but the pain is unbearable at any size. Glad you liked the the post. Great insights. Thank you for sharing. I had my first stone last week, on Maundy Thursday, and did feel God’s presence through the ordeal of pain and impatience (for pain relief, healing, answers to my prayers). Glad you made it through David. It’s no fun for sure. 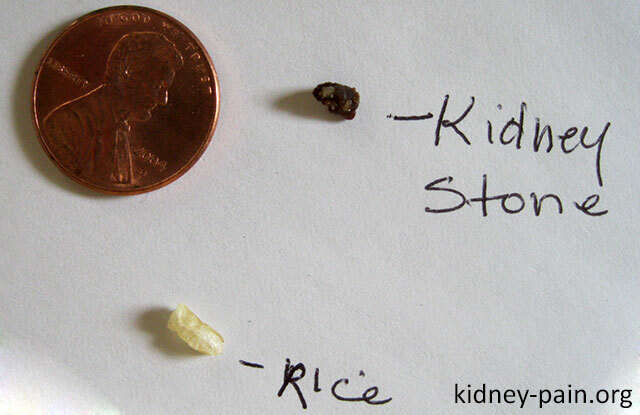 Over the last 17 years I’ve had over 20 kidney stones. They are very painful but I’ve prayed many times and they do obey the name of Jesus. Pray this prayer: In the name of Jesus I command this infirmity to obey me! You will dissolve, you will turn and you will dislodge and pass with no more pain. Thank you lord for your healing. Thank you for your help! Even though there is still pain right now it’s stopping because of the name of Jesus which hinders it and stops it, right now! Thank you Jesus that you want to take this pain for me. Have faith and believe and then start drinking 2 ounces of lemon juice mixed with 2 ounces of pure olivie oil several times a day until it’s gone. Take 3/3 ounces at bedtime. been there; twice. 5 yrs ago. You got it Julie! Sorry to hear about your pain. It stinks. I agree 100%. Thanks for your comment.